Everything Was Moving features the work of 12 photographers, many key figures of the time, including William Eggleston, Bruce Davidson and David Goldblatt, as well as others who are perhaps less well-known, such as Raghubir Singh and Graciela Iturbide. A mix of photo-journalism and art photography, the show traces some of the key events of the two decades. 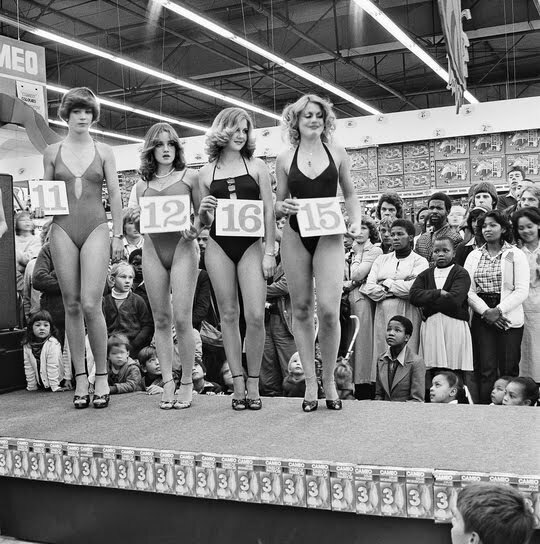 These include apartheid in South Africa, which is covered in both Goldblatt’s seminal images, as well as in a series of vintage photographs by Ernest Cole, which until recently were believed lost. A black South African, Cole convinced the Race Classification Board that he was in fact ‘coloured’ instead, a distinction that allowed him to practice as a photographer. His images, often shot at great personal risk, provide a disturbing record of life for blacks under apartheid. The rawness of Cole’s work also offers a fascinating counterpoint to Goldblatt’s more restrained documentary style. 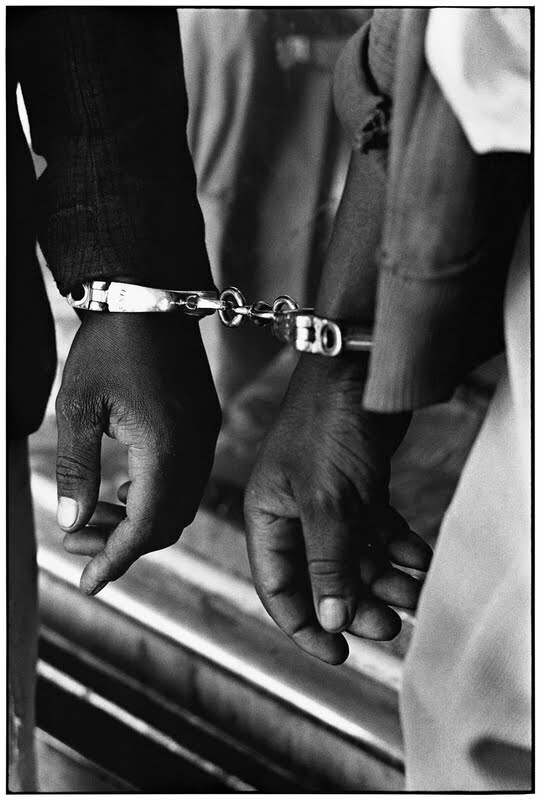 Similarly powerful is Davidson’s series of images tracing the civil rights movement in the US. In his late twenties, Davidson joined a group of Freedom Riders in May 1961 who were challenging the segregation in the American South by travelling by bus from Montgomery, Alabama to Jackson, Mississippi. 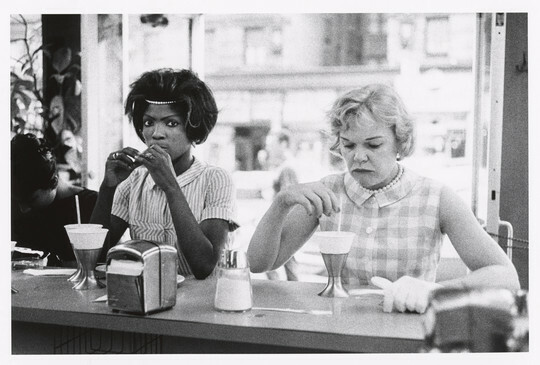 The images form part of a four-year project, which resulted in a set of photographs both iconic and personal, demonstrating Davidson's commitment to documenting the changing times. Davidson, Goldblatt and Cole’s images are shot in black and white, then seen as the template for ‘serious’ photography, with colour a throwaway medium for amateurs. 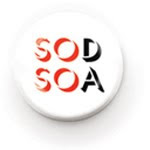 This attitude began to change during the early 70s however, in part due to the contribution to photography from William Eggleston. Eggleston’s images of classic Americana – road signs, motels, the open road – were surprising both for their use of saturated colour but also for the banality of their subject matter. Having given rise to a million copycats on Flickr, it’s hard to imagine the shock his images (and those of Stephen Shore, not featured here) caused at the time. 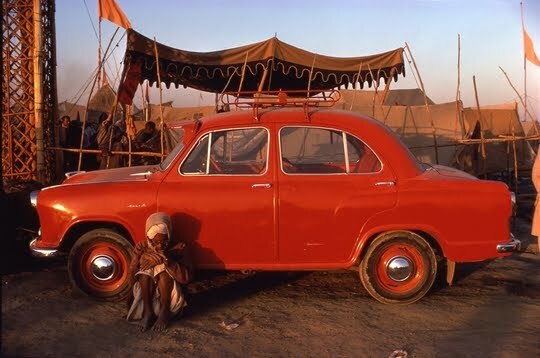 While Eggleston and Shore were changing attitudes towards colour photography in the West, Raghubir Singh was pioneering its use in India. In many ways, it is hard to imagine the country not documented in colour, with the set of Singh’s images shown here revealing scenes rich with vibrant shades and frenetic activity. A further series also utilises colour to dramatic effect. 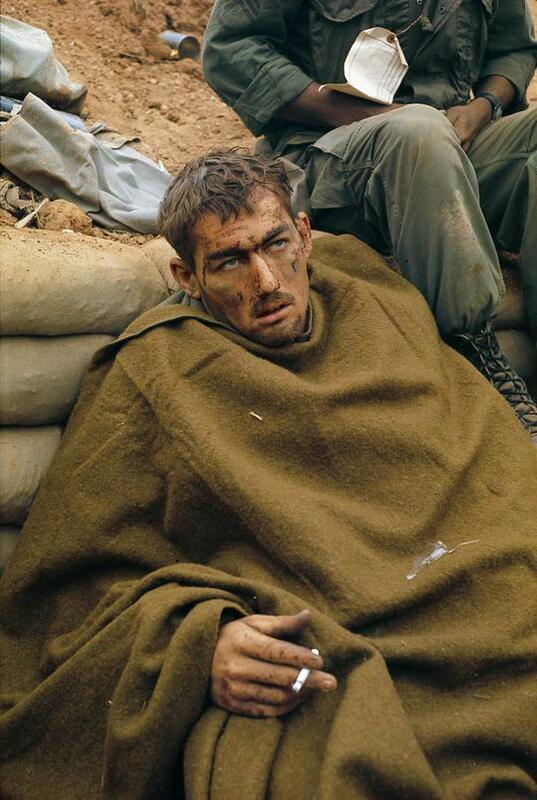 Larry Burrows’ portraits of the Vietnam War appear less like documentary shots and more like Old Master paintings. Displayed in large format, they capture scenes of devastation and despair, and are made all the more poignant by the knowledge that Burrows was killed in a helicopter crash travelling to Laos in 1971 to further document the war. Burrows’ photographs form one of many sets of images here that muddy the lines between documentary photography and art. 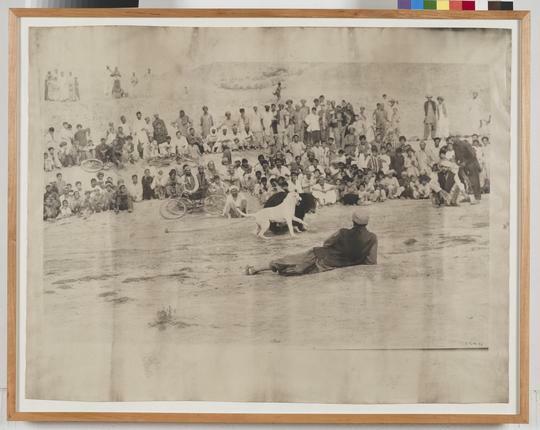 While all the work here is rooted in the recording of real events, often political, a wide variety of styles are featured, illustrating the flexibility of photography in presenting history. A set of Malick Sidibé’s African portraits, which are regularly exhibited in galleries around the world, are featured, while at the more experimental end of the art spectrum are displays of Boris Mikhailov’s ‘superimpositions’ from the late 1960s-early 70s and a surprising set of works by artist Sigmar Polke, which see the artist reconfigure a set of images of a bear fight shot in Afghanistan as a commentary on geopolitics. While Polke’s work verges on feeling out of place in the exhibition, it is this diversity, of both subject and style, across the exhibition that makes Everything Was Moving so compelling. It is an exhibition that also prompts thoughts of what a similar show featuring the photography of today may look like. For while global events continue to unfold at a similar pace to the decades shown here – the wars and the struggles may be different, but they continue to be waged – the nature of photography has changed dramatically since the 70s. It is easy, particularly when viewing this show, to feel a certain nostalgia for the days of film rather than digital imagery and also for a time when documentary photography was supported and encouraged by a wide range of media and magazines. Yet, it is also exciting to think of where photography has travelled too, expanding both further into art, and also moving image. And then there is the rise of amateur photography and ‘citizen journalism’, introducing a whole new set of voices and approaches to the canon. This growing diversity, while frightening to purists, proves photography’s continuing relevance, and shows that, then as now, one of the best ways to capture the fast-moving global events taking place all around us is via a camera, even if that camera is now also a phone. Everything Was Moving: Photography from the 60s and 70s is on at the Barbican Art Gallery until January 13, more info is here.